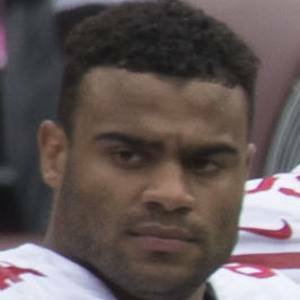 Defensive end out of Stanford who was selected 3rd overall in the 2017 NFL Draft by the San Francisco 49ers. In college, he was the 2016 Morris Trophy recipient for best defensive linemen in the Pac-12. He attended Coppell High School in Texas and came out as a 4-star recruit. He was named First team All-Pac-12 in 2016 after being Honorable mention All-Pac-12 in 2015. He moved with his family to Sydney, Australia when he was 2 years old, and lived there for 5 years. He was the first selection for the 49ers with John Lynch taking over as the general manager of the franchise.